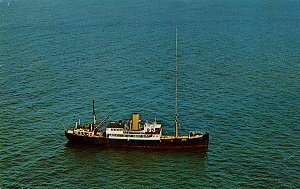 No one reading these pages will need any introduction to Radio Caroline, and what it was from the 60's and to what it is today. 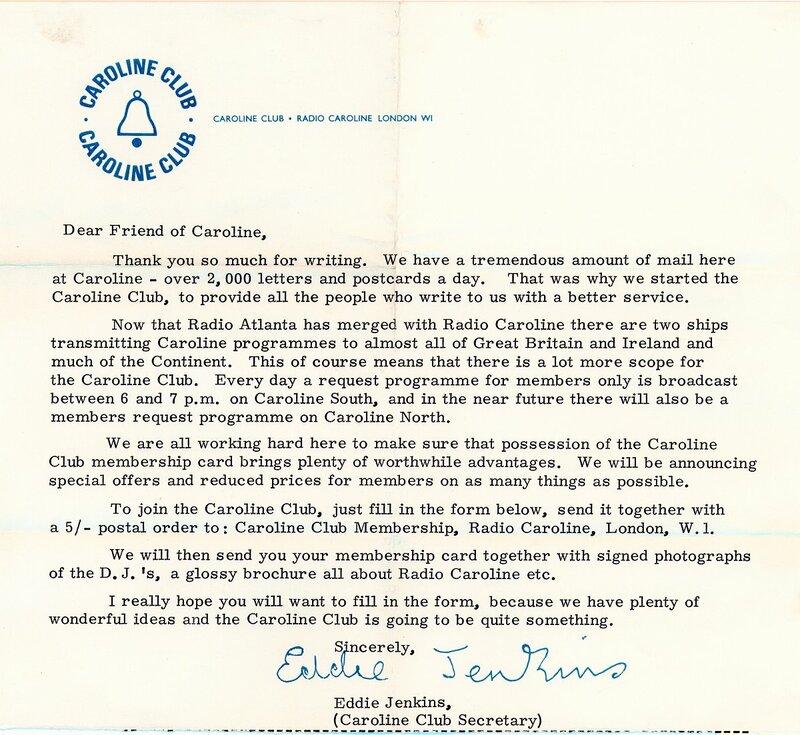 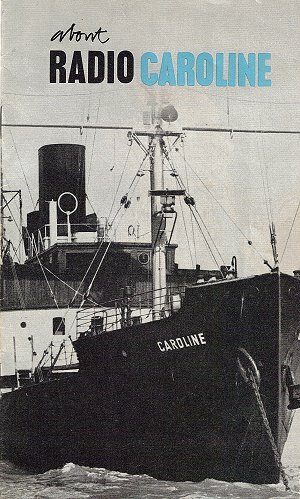 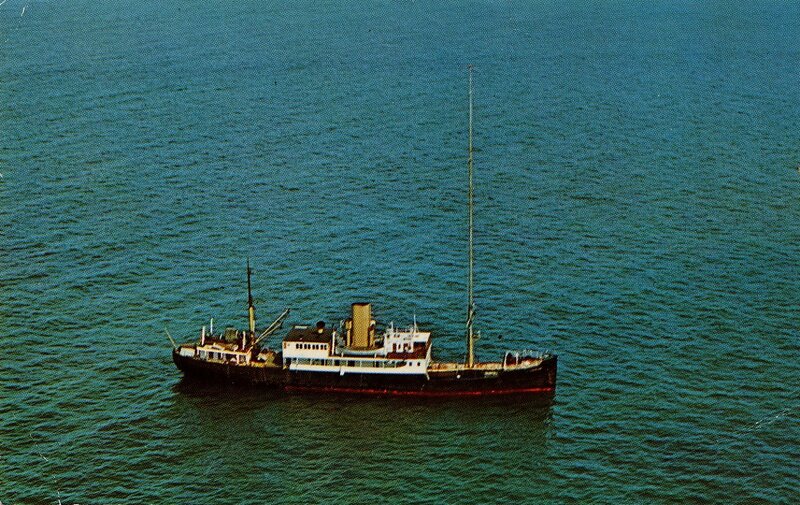 Radio Caroline commemorates it's 50th anniversary in 2014. 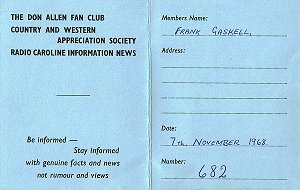 Quite an achievement for the volunteers that have kept the station on the air in one form or another for all these years. 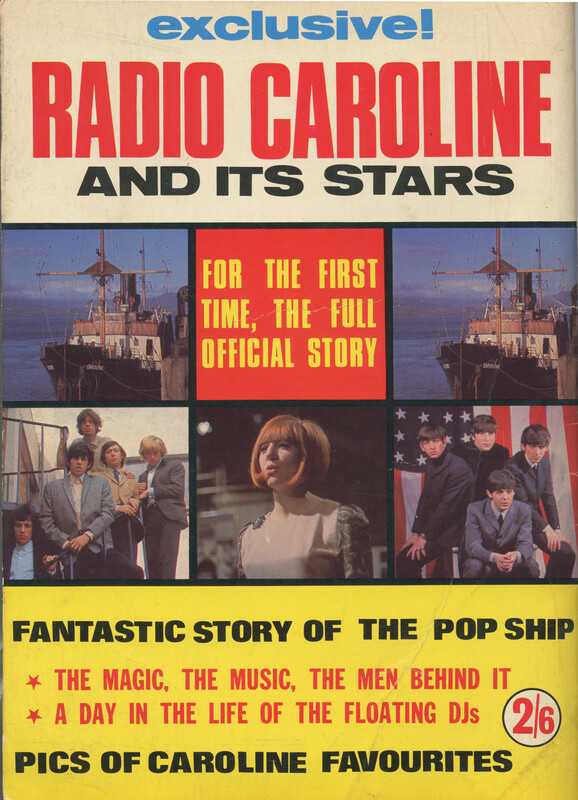 This page deals with reproductions of memorabelia from the 1960's. 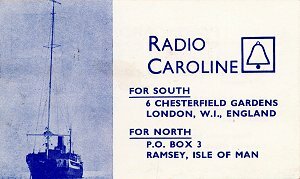 The scans of the pages of Radio Caroline and it's Stars were contributed by Paul Graham, from his own personal archives. 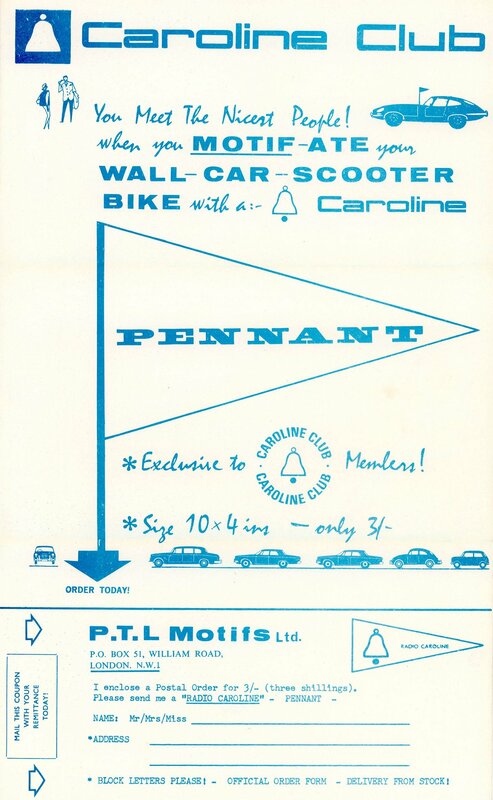 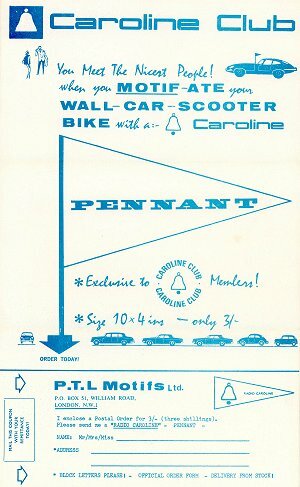 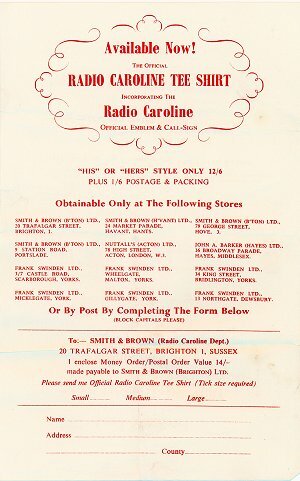 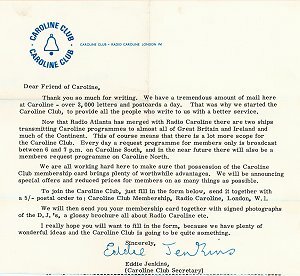 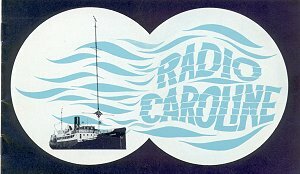 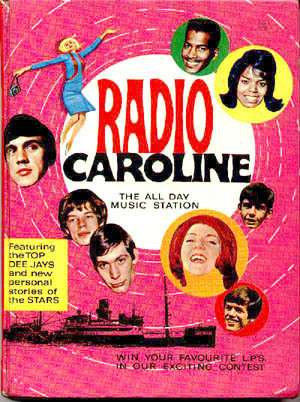 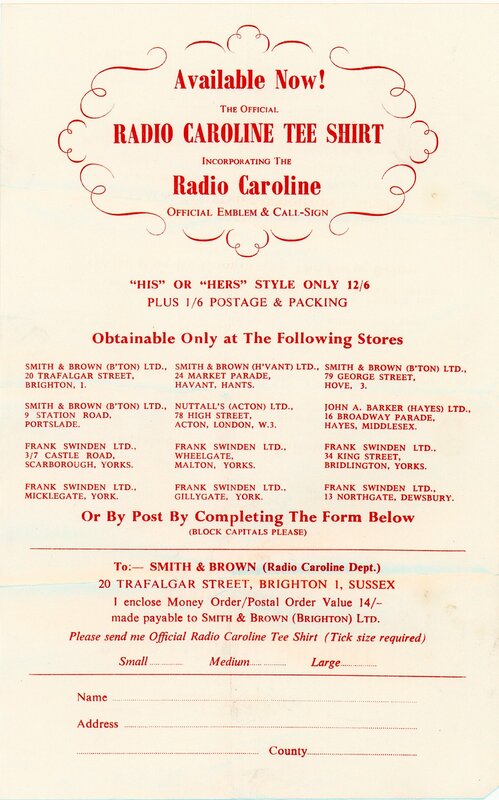 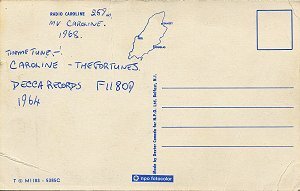 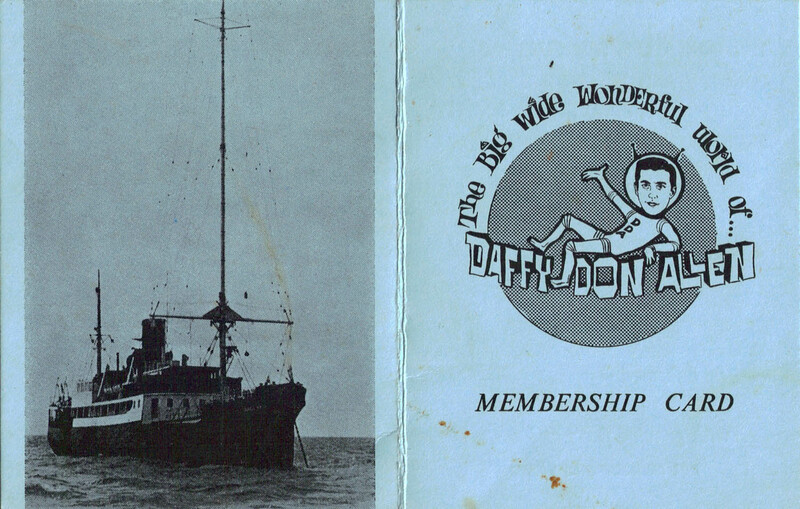 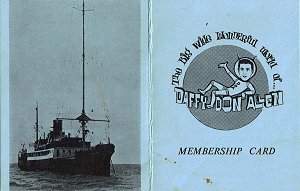 The Caroline Annual is from the DX Archive collection, and the "ABOUT" book is from the collection of Frank Gaskell..
Radio Caroline club stickers, slightly different. 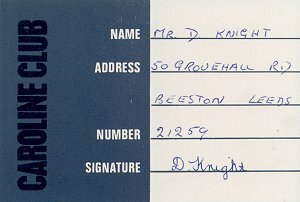 The left hand image comes courtesy of Dave Knight, and on the right, the slightly discoloured item, although authentic looking, is from the collection of Steve West. 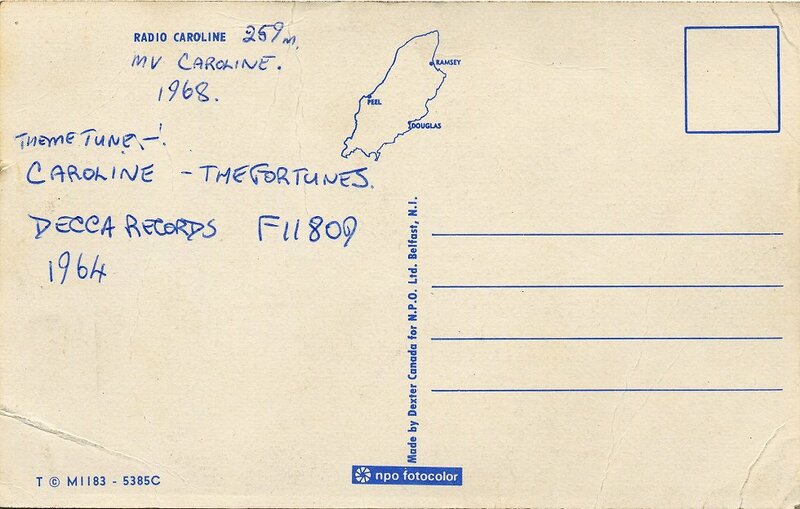 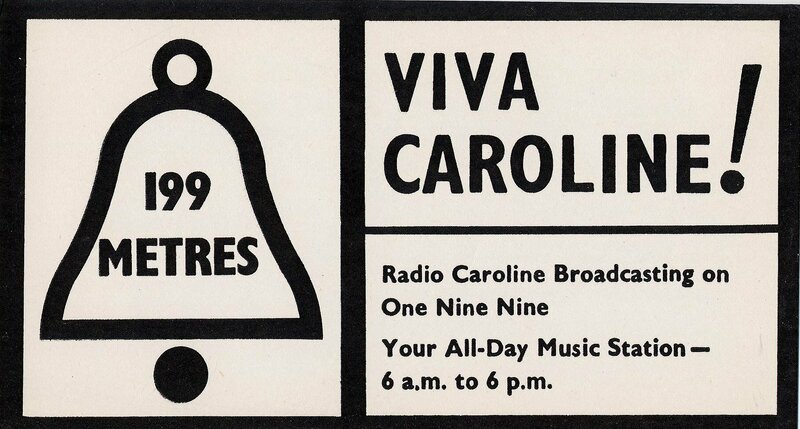 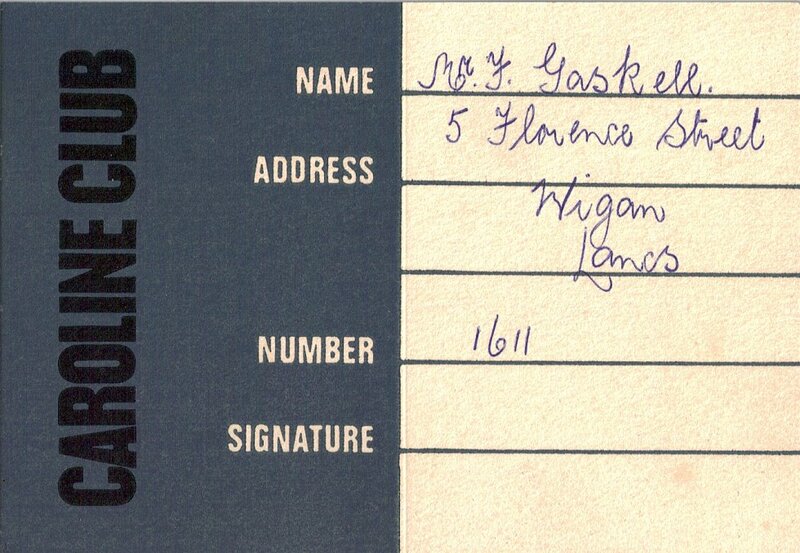 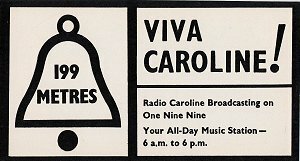 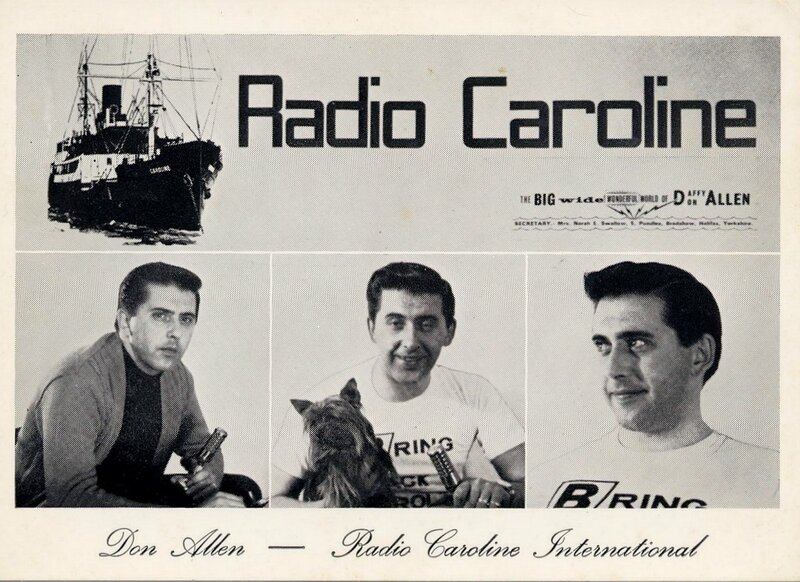 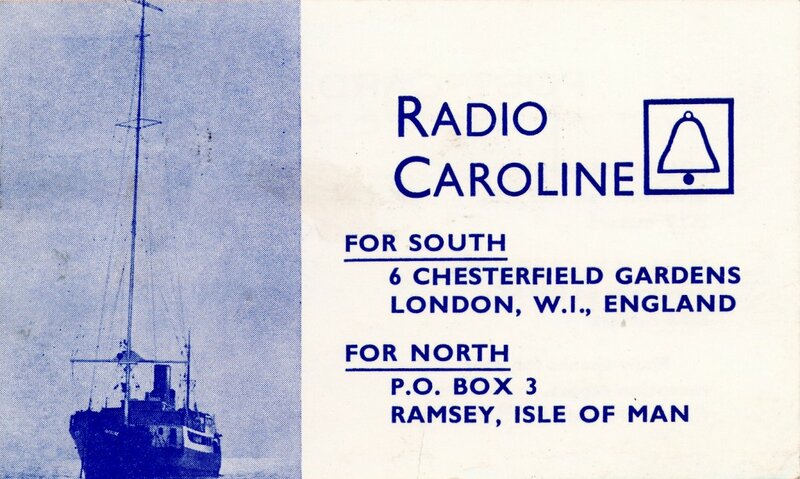 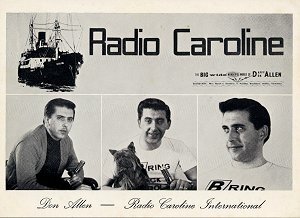 Radio Caroline QSL CARD from 1967, courtesy of Dave Knight. 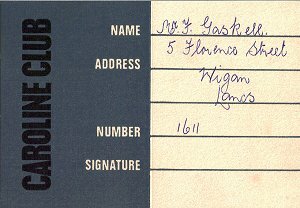 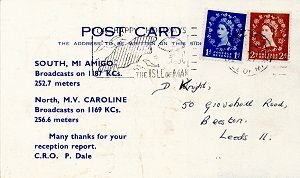 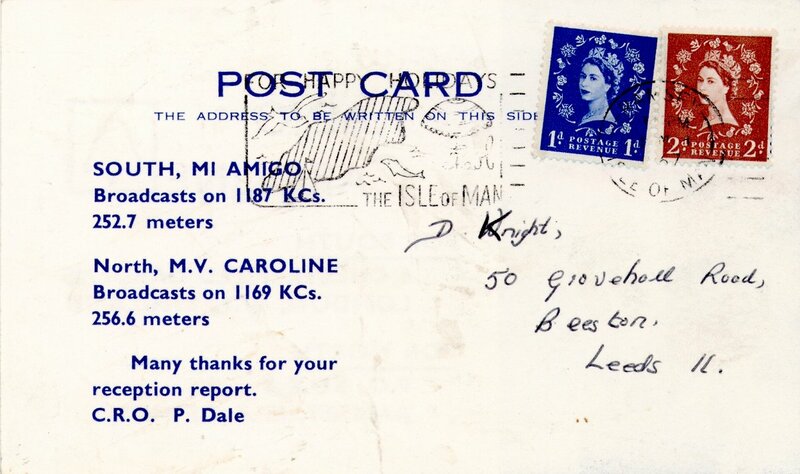 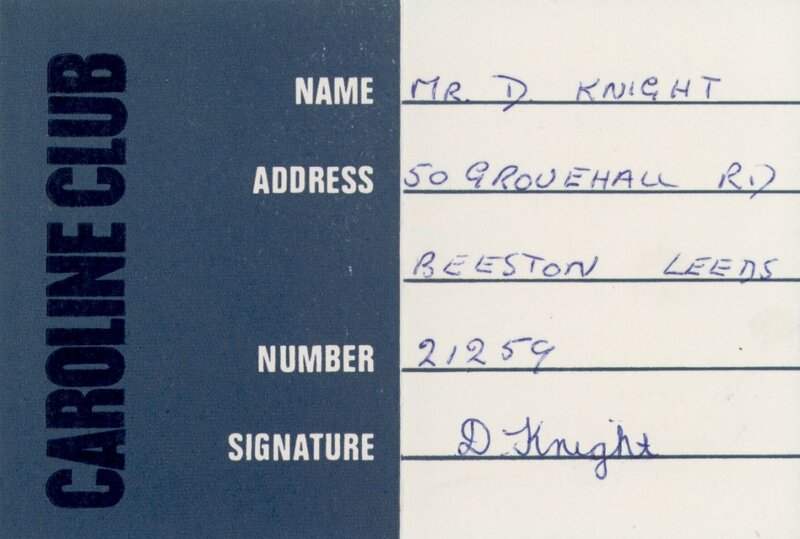 Sadly there are no reception details on the QSL, so whether this was from Caroline North or South, we can only imagine, but the postmark is from the Isle of Mann. 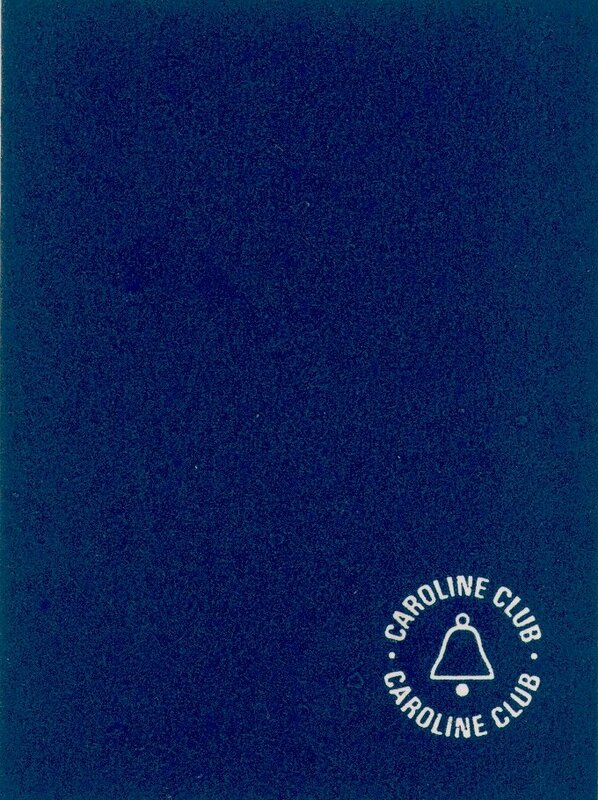 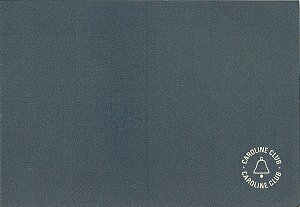 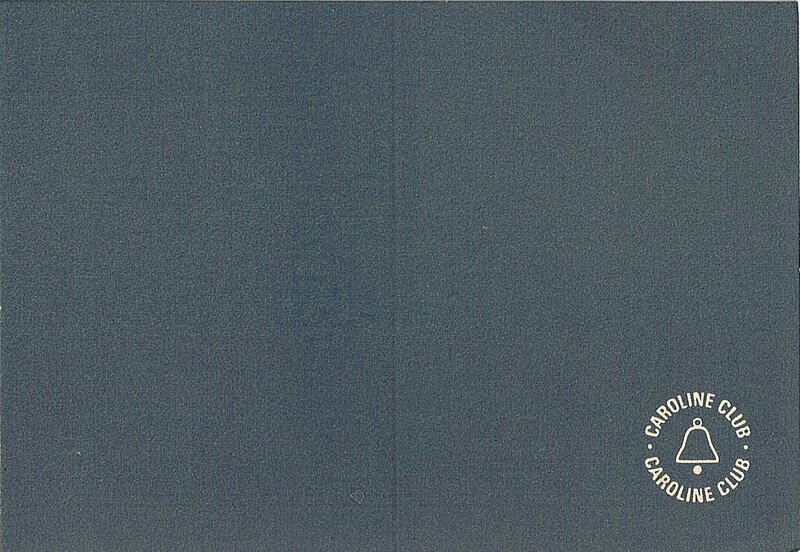 Below are some other Caroline Club items from Dave's collection, as well as other cards from various sources. 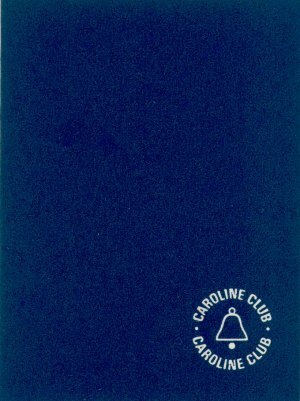 Early Caroline Club number. 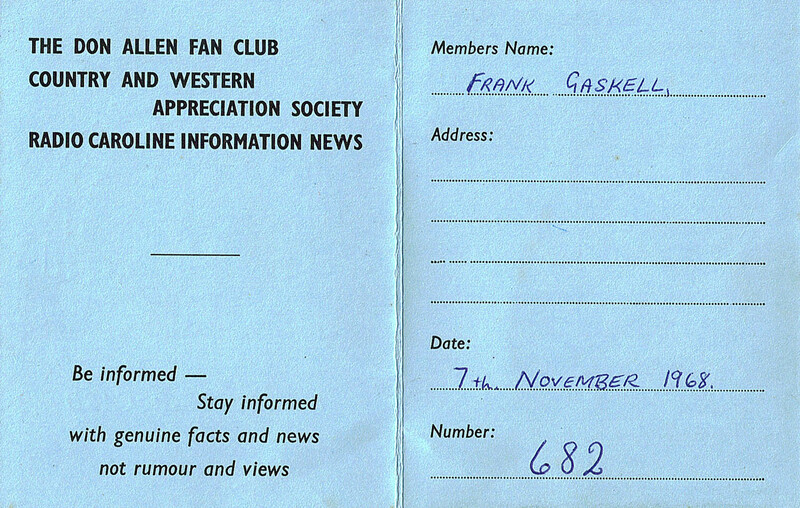 Image Courtesy of Frank Gaskell. 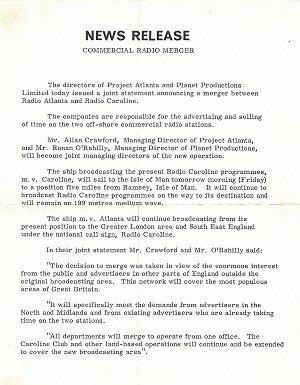 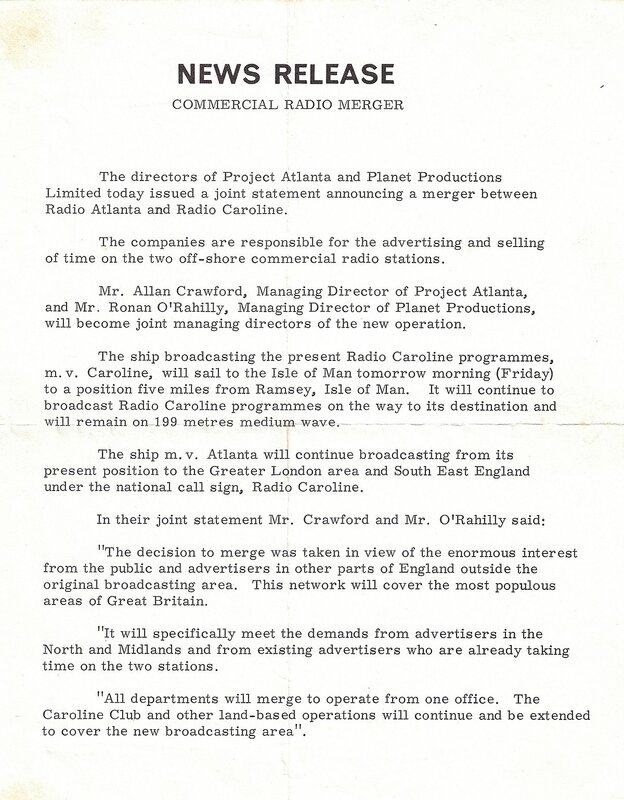 A press release about the merger of Atlanta and Caroline.